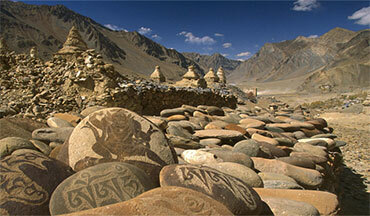 Morning, after breakfast, drive to Rumtse that is located at a distance of 80 km from east of Leh. Today, your whole journey will be in the car on Leh-Manali Highway. 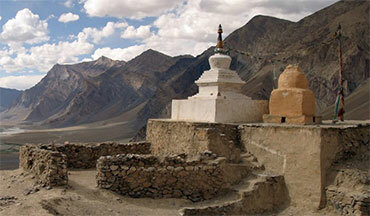 Enroute visit Thiksay monastery, 20 km east from Leh. 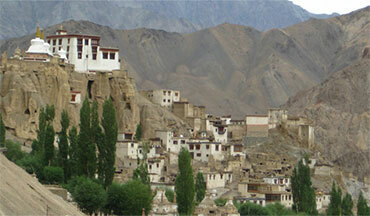 This monastery is the oldest monastery of Gelukpa Sect of Mahayana Buddhism in Ladakh. 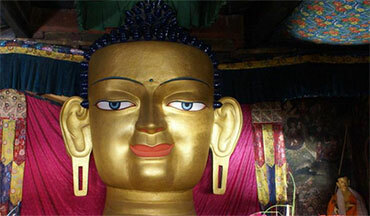 The great Lama Paldan Sherap built in 14th century. Inside the monastery you can see the big statue of the Matriya Buddha (Future Buddha) and wall paintings, Thankas (fresco paintings), various statues of Boddhisattvas and sacred shrines. 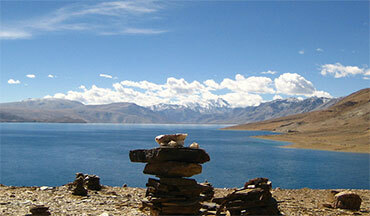 Tsokar Lake is approximately 95 km. 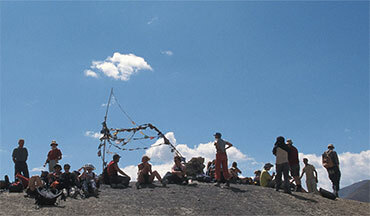 northwest of the Tsomoriri Lake at a height of (4,590m). It is also called "White Lake" because of the salt deposited around it- this is because there is no outlet from the lake which makes the water brackish. In ancient times, the salt from the lake used to take out and sell it all over Ladakh and Kashmir by the local nomads known as the Changpas. Tsokar Lake is breeding grounds for a variety of birds among them the bar-headed goose, the great crested grebe, the Brahmin duck and the brown headed gull. After breakfast, drive to Leh. It is 230 km from Korzok and it takes 7 to 8 hours. Enroute you can see the hot spring in Chumathang. This spring water is considered to be medicinal water and people of Ladakh come here to cure joint / rheumatic diseases by taking bath in the water. Overnight at Guest House / Hotel in Leh.